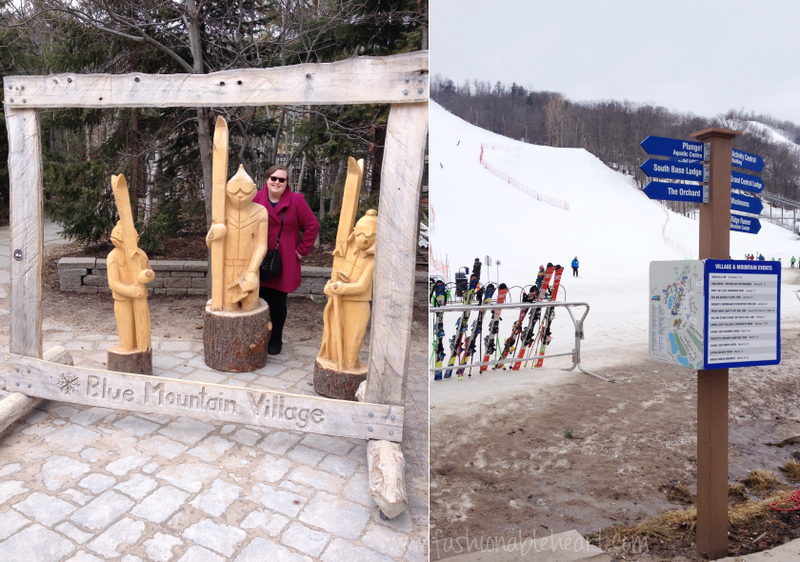 It is technically spring, but you wouldn't know it at Blue Mountain while we were there. It snowed on our last day and it was gorgeous. It was just a week ago since our anniversary and I already wish I was back! The people there are beyond friendly and accommodating. It felt like home for the three days we were there and those are always the vacations that are the best. As mentioned previously, I could only narrow my photos down so far. This place is too gorgeous to not want to share pictures of it. You can read about the food I enjoyed in my last post and see more pictures of the Village on my photography blog. 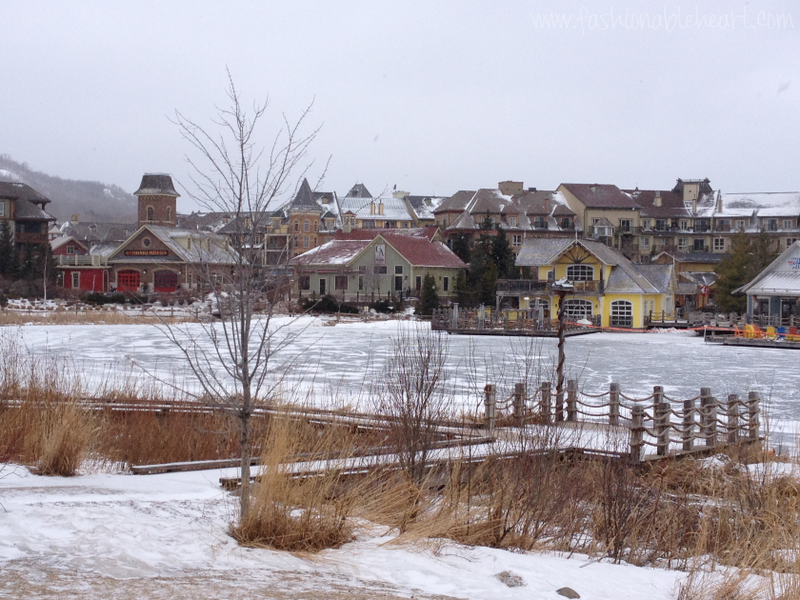 In this post, I have a few more pictures and talk about where we stayed. This is the view from our room! We got ground floor, which worked wonders since we had Indy with us and I could just walk him right outside. In the heart of winter, the pond is frozen over and is used for skating. It was milder when we arrived, so it was roped off. The Village was about a five minute walk by using that pathway. 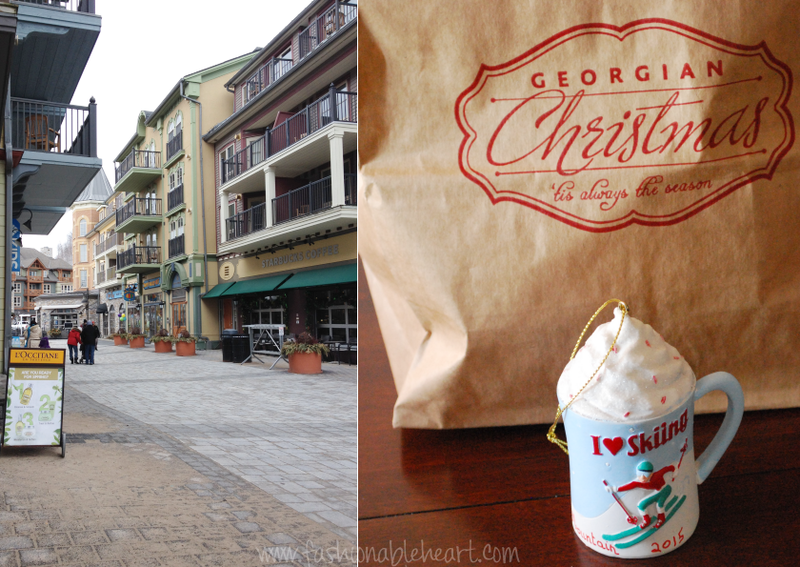 I only picked up one souvenir- a Christmas ornament. If I am anywhere with a Christmas store, I'm walking in and I am coming out with an ornament. When they are readily available, I love grabbing ones on our trips that say or represent where we were. Sentimental ornaments for the win! 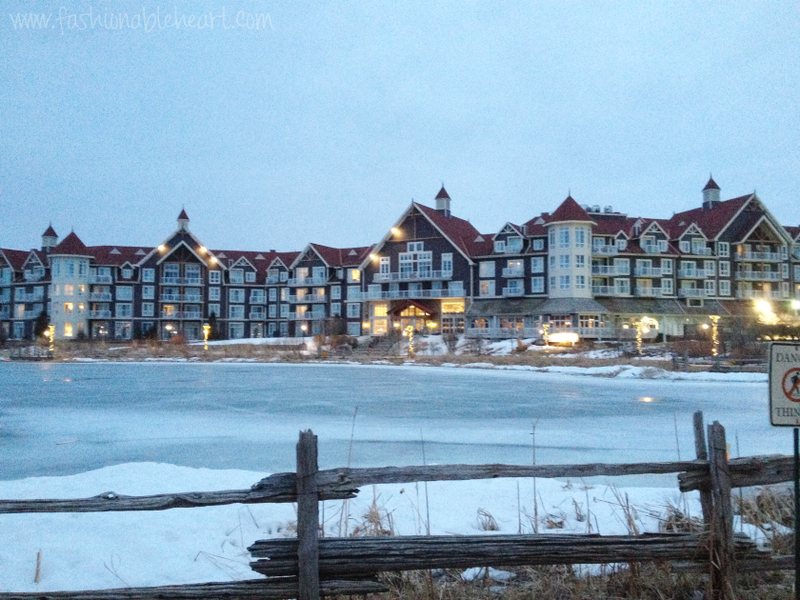 We stayed at the pet-friendly Westin Trillium House. We got a two bedroom suite. My MIL came with us to help watch Indy, so two rooms were essential and it helped all of us to be able to divide the cost. Our room is on the bottom left in this picture. See those lampposts? Each one had birdhouses on them representing places in the Village. Adorable! And there is a separate door for the dogs at the entrance, where the hotel even provided a big water bowl for them as they are coming and going. Our room had a full kitchen, two bedrooms (one king, one queen), two bathrooms, and a family common room with a fireplace. We saved money by using the kitchen a fair bit. Our bathroom had both a tub and shower. Really wish the bathrooms had heated tiles, because they were super cold. The Westin Trillium also has a giant heated year-round pool and two hot tubs. We enjoyed both once at night and once during the day. We had it pretty much to ourselves during the night swim! The mattresses were nice and I don't say this often about hotel or resort pillows, but they were great. Not too thick, not too thin. You know what I'm talking about...The perfect pillow ratio is hard to get! We split the family room up- my MIL got it one night and we got it one night. And our room had its own thermostat, which was probably my favorite part of the room. My MIL likes it to be what she calls warm and I call hot. So being able to change it to what we like in our bedroom was such an added bonus! It was a great little trip that created some fond memories for us. We hope to go back and maybe experience it during a different season! Thanks for stopping by! It was so neat to have there be snow out and be able to swim around. Granted, you chanced being an ice cube when getting out! I hope you have a lovely getaway!